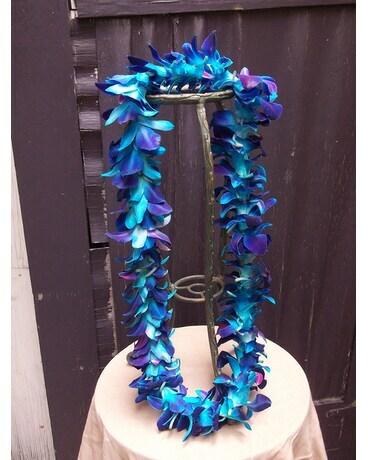 The flowers on this single lei are strung through the center of the flowers, creating a slender, more delicate lei perfect for an orchid accent or for layering with multiple leis. Please place your order early. Often, they need to be ordered in advance. Not available for delivery unless combined with other products--we have a $40 minimum for delivery.